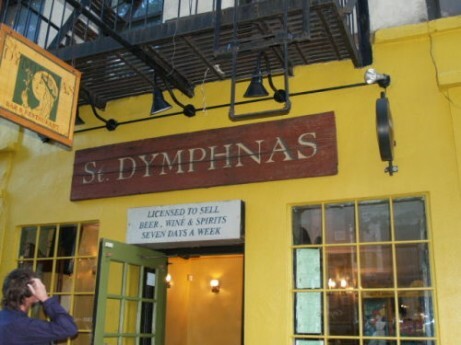 Reminding me of my school years in England, St. Dymphna’s brings an awesome Irish flair to the East Village. 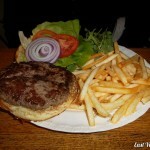 Ice-cold Guinness, a no nonsense menu & an awesome staff totally round out this Irish Pub in the East Village. I’ve been going there for a few years & the place just seems to get better every time I visit. I’m a sucker for Guinness and fish & chips, so I was really happy with my first visit where I had double portions of both. This place could be totally suited in County Cork, or any other Irish province, so the fact that it’s in the East Village is a total blessing. Inside looks like a typical pub with a long wood bar & about a dozen tables to eat (& most likely drink) at. 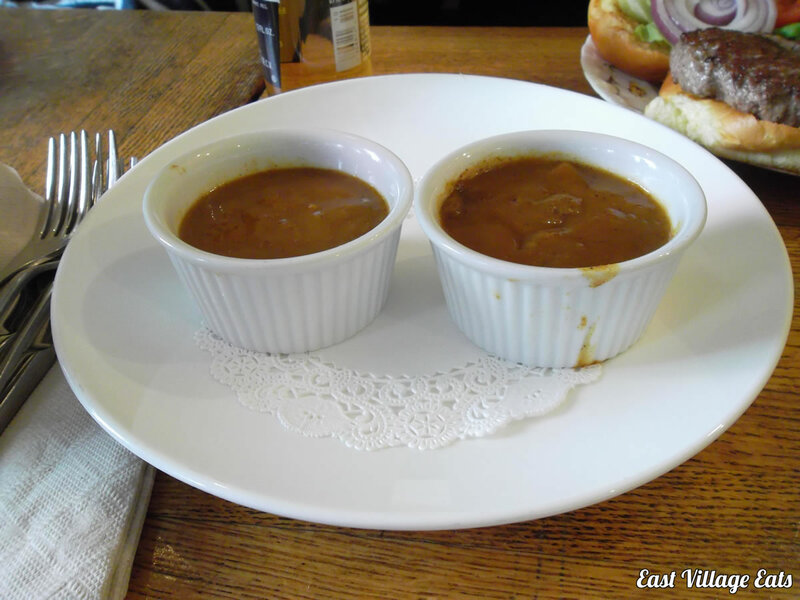 It seems to be frequented by mainly locals & has a lively, social crowd. I come there mainly for the food though. 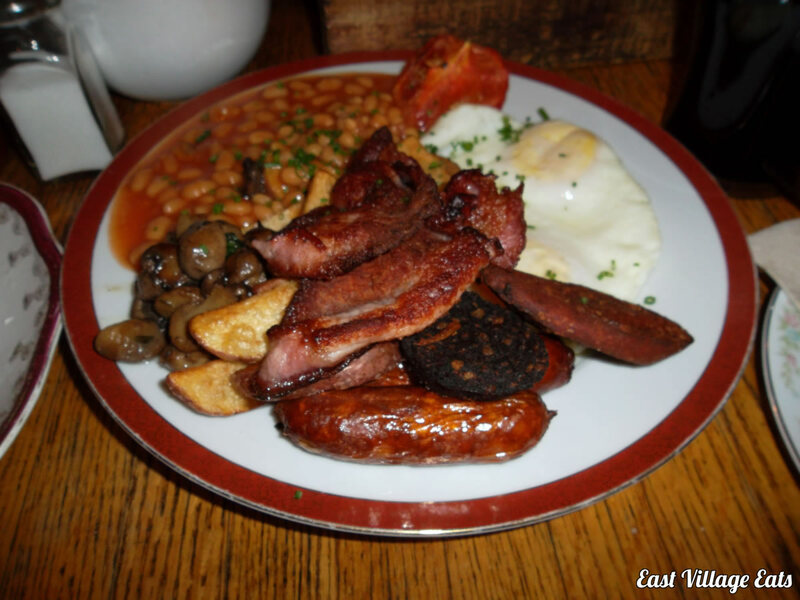 No Irish Pub would be worth it’s salt without a decent Irish Breakfast & they don’t disappoint here. 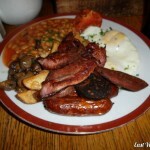 Mushrooms, fried tomato, fried egg, sausages, black pudding, proper rashers of bacon & a healthy dollop of baked beans. Basically The Lot! Really good & insanely filling at any time of the day. 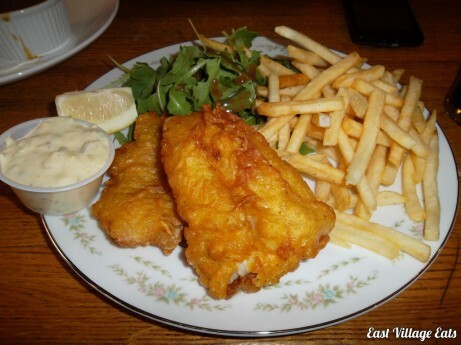 When I’m not eating the Full Irish, I go for the Fish & Chips which are also very impressive. There aren’t that many places around that do it properly (I really miss A Salt & Battery), but they don’t mess around here. There are loads of other notable mains: Sirloin Beef Burger (see above), Shepherds Pie, Steak and Salmon; plus a few sides such as Bangers & Mash and a Rasher Sandwich. 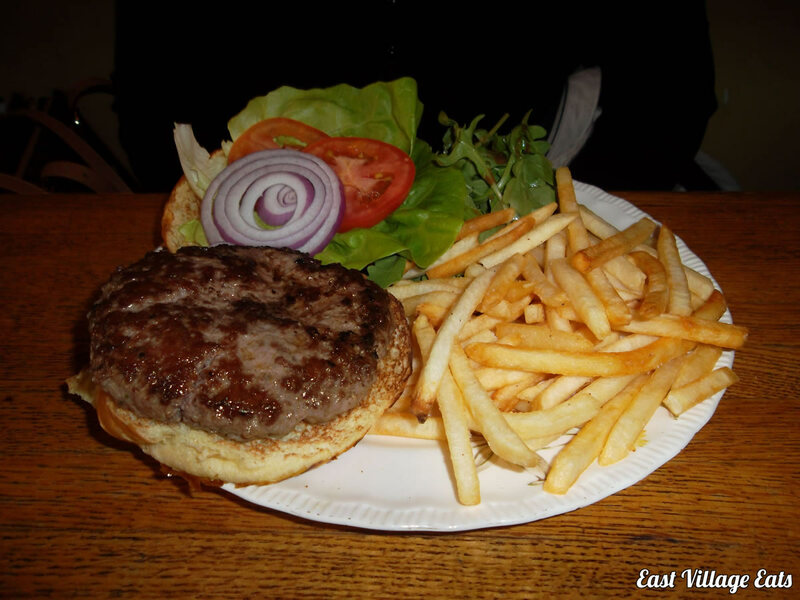 Other American bar classics are on the menu as well. 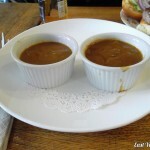 On my last visit, the table next to us ordered the Fries & Curry Sauce. It smelled so good that we just had to try it. Sometimes your nose can lead you astray. While the sauces smelled great, the curry taste just wasn’t there, I’m not sure how to describe it. 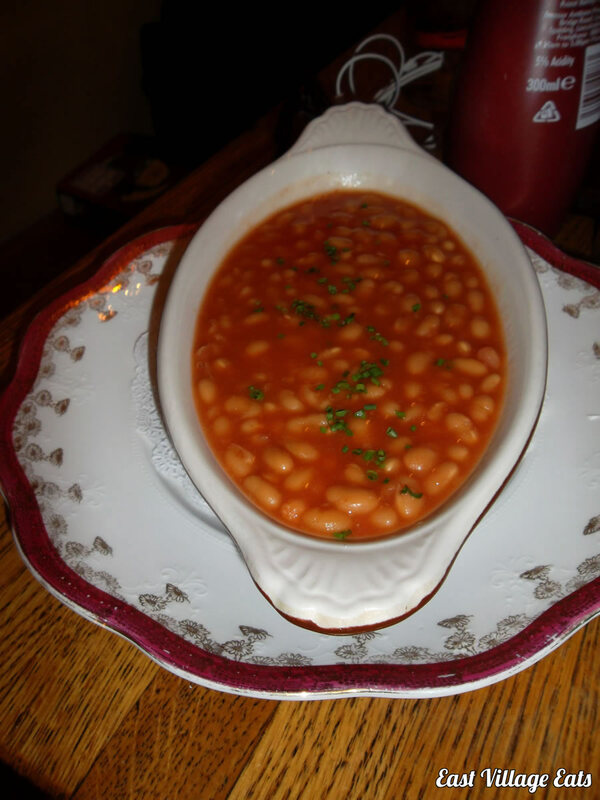 That’s the only dish that I’ve tried that I didn’t like, but a small price to pay for the rest of the items on the menu. If you’re in the mood for a pint of Guinness and a taste of Ireland, check out St. Dymphna’s.